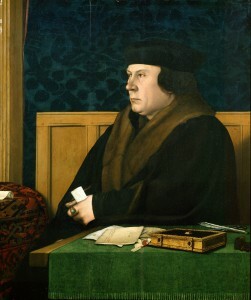 Thomas Cromwell was Henry VIII’s champion when it came to Anne Boleyn – he also assisted in the downfall of Anne. It appears to us now that Cromwell knew how to survive at the court of Henry VIII….for awhile, at least. It wasn’t until Anne of Cleves that thing start to sour for Cromwell. When Henry VIII felt rejected by his new Queen he turned on Cromwell, blaming him for everything. As we all know the King rarely accepted blame in anything and those closest to him were most affected by his anger. Many have tried to say that the reason behind Cromwell’s downfall is what happened with Anne of Cleves – but if you read the below “Bill of Attainder” you will see no mention of Anne of Cleves. None. 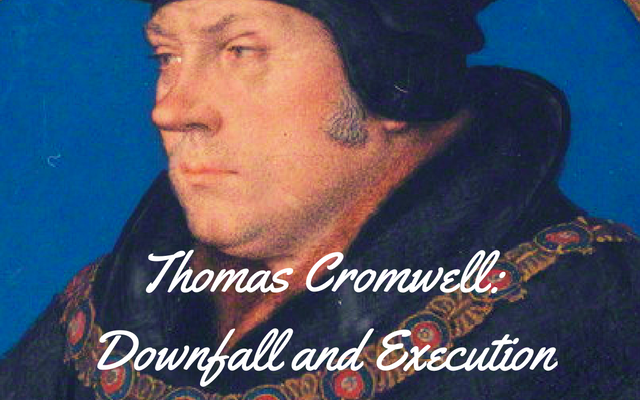 In my opinion, Cromwell’s downfall was not much different from Wolsey’s. As in Thomas Wolsey’s case, many thought Cromwell, who had come from nothing, had too much control over the King. Even though the King allowed it because he always behaved as though he couldn’t be bothered with running the Kingdom. [London,] – Has just heard that Thomas Cramvel, keeper of the Privy Seal and Vicar-General of the Spiritualty, who, since the Cardinal’s death, had the principal management of the atfairs of this kingdom, and had been newly made Grand Chamberlain, was, an hour ago, led prisoner to the Tower and all his goods attached. Although this might be thought a private matter and of little importance, inasmuch as they have only reduced thus a personage to the state from which they raised him and treated him as hitherto everyone said he deserved, yet, considering that public affairs thereby entirely change their course, especially as regards the innovations in religion of which Cromwell was principal author, the news seems of such importance that it ought to be written forthwith. Can add nothing but that no articles of religion are yet concluded, and that the bishops are daily assembled to resolve them, and meanwhile Parliament continues. Heard yesterday in the King’s Council that Cromwell is a traitor. Expresses his amazement and grief that he should be a traitor who was so advanced by the King and cared for no man’s displeasure to serve him, and was so vigilant to detect treason that King John, Henry II., and Richard II., had they had such a councillor, would never have been so overthrown as they were. Loved him as a friend, and the more for the love he seemed to bear the King; and now, although glad that his treason is discovered, is very sorrowful; for whom shall the King trust hereafter? Prays God to send the King a councillor he can trust, and who, for all his qualities, can serve like him. Prostrate at your Majesty’s feet, I have heard your pleasure by your Controller, viz., that I should write such things as I thought meet concerning my most miserable state. And (1) where I have been accused of treason, I never in all my life thought to displease your Majesty; much less to do or say “that thing which of itself is so high and abominable offence.” Your Grace knows my accusers, God forgive them. If it were in my power to make you live for ever, God knows I would; or to make you so rich that you should enrich all men, or so powerful that all the world should obey you. For your Majesty has been most bountiful to me, and more like a father than a master. I ask you mercy where I have offended. Never spoke with the Chancellor of the Augmentations and Frogmerton together at a time; but if I did, I never spoke of any such matter. Your Grace knows what manner of man Throgmerton has ever been towards you and your proceedings. What Master Chancellor has been to me, God and he know best; what I have been to him your Majesty knows. If I had obeyed your often most gracious counsels it would not have been with me as now it is. But I have committed my soul to God, my body and goods to your pleasure. As for the Commonwealth, I have done my best, and no one can justly accuse me of having done wrong wilfully. If I heard of any combinations or offenders against the laws, I have for the most part (though not as I should have done) revealed and caused them to be punished. But I have meddled in so many matters, I cannot answer all. The Controller showed me that you complained that within these 14 days I had revealed a matter of great secrecy. I remember the matter, but I never revealed it. After your Grace had spoken to me in your chamber of the things you misliked in the Queen, I told you she often desired to speak with me, but I durst not, and you thought I might do much good by going to her and telling her my mind. Lacking opportunity I spoke with her lord Chamberlain, for which I ask your mercy, to induce her to behave pleasantly towards you. I repeated the suggestion, when the lord Chamberlain and others of her council came to me at Westminster for licence for the departure of the strange maidens. This was before your Grace committed the secret matter to me, which I never disclosed to any but my lord Admiral, by your commandment on Sunday last; whom I found equally willing to seek a remedy for your comfort, saying he would spend the best blood in his belly for that object. Was also accused at his examination of retaining contrary to the laws. Denies that he ever retained any except his household servants, but it was against his will. Was so besought by persons who said they were his friends that he received their children and friends—not as retainers, for their fathers and parents did find them; but if he have offended, desires pardon. Acknowledges himself a miserable sinner towards God and the King, but never wilfully. Desires prosperity for the King and Prince. Attainder of Thomas Crumwell, earl of Essex, whom the King has raised from a very base and low degree to the state of an earl, and who nevertheless, as is proved by many “personages of great honor, worship, and discretion,” has been the most detestable traitor that has been seen during the King’s reign, and has of his own authority set at liberty divers persons convicted of misprision of treason and others apprehended upon suspicion of treason; and also has, for sums of money, granted licences for the export of money, corn, &c., contrary to the King’s proclamations; and also has appointed commissioners in important affairs without the King’s knowledge; and also “being a person of as poor and low degree as few be” within this realm, has said publicly, “That he was sure of you” (i.e. the King), and it is detestable that any subject should speak so of his sovereign; and also has give passports to divers persons to go over sea without search; and also, being a detestable heretic, has dispersed into all shires false and erroneous books, many of which were printed beyond seas, tending to the discredit of the blessed sacrament of the altar and other articles of religion declared by the King by the authority of Parliament, and has caused parts of the said books to be translated into English, and although the report made by the translator thereof has been that the matter was expressly against the sacrament of the altar, has, after reading the translation, affirmed the heresy so translated to be good; and also has obstinately maintained that every Christian may be a minister of the said sacrament as well as a priest; and also, being the King’s vicegerent to reform errors and direct ecclesiastical causes, has, without the King’s knowledge, licensed heretics to preach and teach, and has actually written to sheriffs in sundry shires, as if it were the King’s pleasure, to set at large many false heretics; and also upon complaints being made to him of heretics, has defended the said heretics, and rebuked the credible persons, their accusers, &c.; and moreover, 31 March 30 Hen. VIII., in the parish of St. Peter the Poor in London, upon information made to him against certain new preachers, as Robert Barnes and other, whereof part be now in the Tower for preaching against the King’s proclamations, did arrogantly say in defence of their preaching, “That if the King would turn from it, yet I would not turn; and if the King did turn and all his people I would fight in the field in my own person with my sword in my hand against him and all other,” and held up his dagger saying, “Or else this dagger thrust me to the heart if I would not die in that quarrel against them all; and I trust if I live one year or two it shall not lie in the King’s power to resist or let it if he would,” and affirming the words by a great oath, &c.; and moreover by bribery and extortion he obtained innumerable sums of money, and, being so enriched, has held the nobles of the Realm in great disdain, “and being put in remembrance of others of his estate which your Highness hath called him unto offending in like treasons,” said, 31 Jan. 31 Hen. VIII., in the parish of St. Martin in the Fields, Midd., “That if the lords would handle him so, that he would give them such a breakfast as never was made in England, and that the proudest of them should know.” To suffer as a heretic or traitor, at the King’s pleasure, and forfeit all property held since 31 March 30 Hen. VIII. Saving clause excepting the deanery of Wells from forfeiture. I have come here to die and not to unburden myself as some might think. I am condemned by law to die and my Lord God who has appointed me to this death for my offense. Since the time that I have had years of discretion I have lived as a sinner and offended my Lord God and now I ask him for forgiveness for my offenses. I ask you all to pray for me. Oh Father forgive me. Oh Son forgive me. Oh Holy Ghost forgive me. Oh three persons in one God forgive me. And now I pray that all of you here bear witness that I die in the Catholic faith not doubting once in my faith nor doubting in any sacrament of the Church. Many people have slandered me and reported that I have been a bearer of such as have maintained evil opinions that are untrue, but I confess that like God by his Holy Spirit doth instruct us in the truth so the devil is ready to seduce us, and I have been seduced. Bear me witness that I die in the Catholic faith of the Holy Church. I desire you to pray for the King, that he may live long with you, in health and prosperity. After him that his son, Prince Edward, may long reign over you. And once again I desire you to pray for me, that so long as life remains in the flesh I will not waver in my faith. 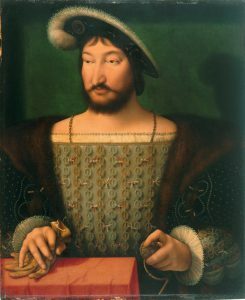 It was not long after the execution of Cromwell that ambassador Marillac had commented in a letter that Henry VIII was upset about the loss of Cromwell. Just as the King later lamented over the death of Wolsey he was now remorseful that Cromwell, the man who ‘helped’ him run the kingdom was now gone. 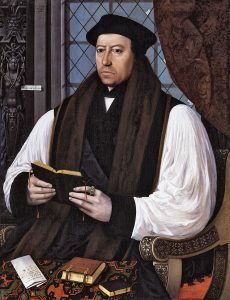 The most curious part of this all is that Henry VIII raised Cromwell to Earl of Essex on 18 April 1540 – it was less than three month later that Cromwell was dead. How and why did things change so quickly for him? Why would the King grant him the earldom if he was only going to have him executed? 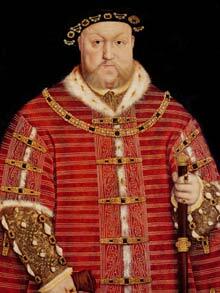 This is always the most curious thing when talk about Henry VIII – the man was very unpredictable. What do you think? What happened in those two months that changed everything for Cromwell? Henry seemed to be 2 faced. He would tell people that he liked them knowing he would get rid of them. He was a sick man giving them hope when he was going to kill them. Henry tried to please his friends then regretted his judgement. Henry in my opinion was a murderer without a conscience. He may have been a sociopath. Certainly he had a mental disorder that made he believe he was God on earth. He did regret some decisions when the jobs done well by others now fell on him when he found few he could trust yet his people loved him.